We endeavour to introduce children to all levels of Gaelic Games in Allianz, Cumann na mBunscol. As part of this we decided to increase participation in our INTO Mini 7âs Games and bring Young Whistlers from around the country to referee games on All Ireland semi-finals and finals days. The Young Whistlers are also used at exhibition games during inter-county provincial games throughout the year. The Young Whistlers Scheme had been used by Allianz Cumann na mBunscol Ath Cliath for many years â and children were given opportunities to learn about refereeing and the rules of GAA at summer camps. In 2010 it was decided to develop this scheme further by inviting each of the provinces to select a county to promote the Young Whistlers Scheme. In year 1 we selected the Counties that were involved in the role out of the Respect Initiative. Armagh, Waterford, Sligo and Kilkenny provided our first Young Whistlers. The children were given opportunities to practice their skills at inter-school blitzes, inter-county provincial matches and then the huge honour at refereeing Games in headquarters. Dublin and Cork provided the referees for the 2 finals. 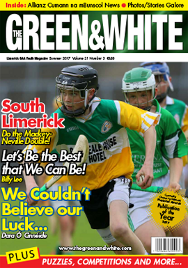 In Year 2 Down, Limerick, Mayo and Offaly provided the Young Whistlers for our games. In 2012 Donegal, Kerry, Galway and Dublin provided referees for the semi-finals. Tyrone, Tipperary, Leitrim and Kildare provided Young Whistlers for 2013. 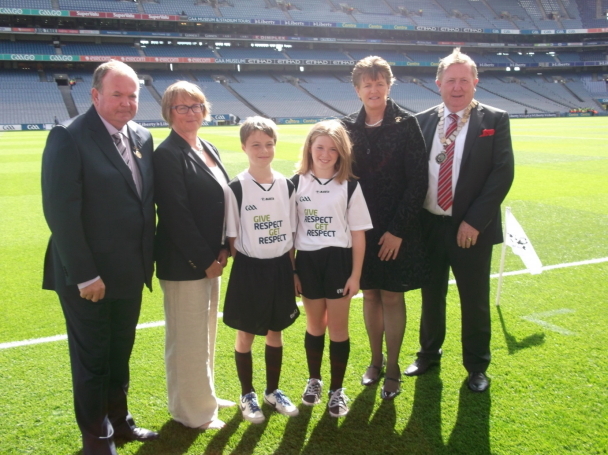 The Young Whistlers for the 2014 games come from Fermanagh, Roscommon, Clare and Laois. Provincial secretaries are contacted by An Coiste NÃ¡isiÃºnta about our Young Whistlers annually. At a provincial meeting a county is selected to represent the province in that year. Each county selected selects a school to represent their county. The school selects one boy and one girl (where possible) to represent the county and province. Each participant receives 2 tickets for the semi-final for their parents/guardians. The teacher involved in promoting this initiative will also receive 2 tickets. To play in Croke Park in front of a capacity crowd on an All-Ireland semi-final or final is a huge honour. Unfortunately not all of us are that lucky. Through our Young Whistlers Scheme and the INTO mini 7âs games many more children are getting the opportunity to experience this wonderful day out. A big word of thanks goes out to all the Allianz Cumann na mBunscol committees who work to provide opportunities for Young Whistlers to referee games. A special word of thanks also to the Dublin teachers who give so willingly of their time, over the summer and autumn months, to help out with our exhibition games in Croke Park. For more information about Young Whistlers see the Young Whistlers pack on our website.